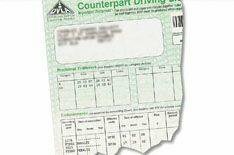 Driving licence cheat jailed | What Car? Another man has been jailed for taking driving tests on behalf of other people. Joseph Nazaire Djoukam, 41, of South East London was sentenced to eight months in prison following a charge of conspiracy to obtain property by deception having taken several illegal driving tests. Three of the candidates he sat driving tests on behalf of were also punished. Christophe Makiadi, 40, of Leeds, Gaoussou Dramane, 27, of South East London, and Adama Diakite, 35, of South East London were fined 1600 and ordered to do 350 hours of unpaid community service. In August two men were also jailed for similar offences, after a crackdown led by the Driving Standards Agency.